Goodly: Where DId We Get the Word "Salary?" In Ancient Rome, centuries before refrigeration, soldiers received a regular allowance to buy sal, the Latin word for salt. They used the salt to preserve food. The allowance was called a salarium. English-speakers eventually changed the word to salary. Echoing the word's origin, we still say, "He's worth his salt." 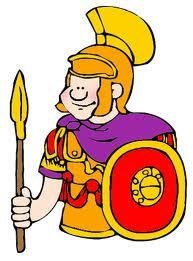 And if an Ancient Roman soldier went beyond the call of duty he received a bonus, the Latin word for good.